THE 90s CALLED and they want you to try the latest and greatest from one of its most popular makeup brands, Smashbox. Shaking up the local beauty scene yet again, beauty juggernaut Smashbox Cosmetics introduces a fresh selection of head-turners to the Philippine market. Bringing no less than a curated assemblage of pigment-packed beauty essentials, Smashbox fulfills the wishes of beauty junkies and makeup hoarders by officially launching the Cover Shot Eye Palette, Spotlight Palette and Always On Matte Liquid Lipsticks. While the collection only has 3 major components, the colour selection totally makes up for it. I'm personally very excited about this because of the packaging (so travel and purse friendly) and consistency of payoff. Locally, there are 4 eye shadow palettes, 1 highlighter palette, and 11 liquid lipsticks available at Beauty Bar. Taking inspiration from the of-the-moment trends that breeze through the doors of the iconic Smashbox Studios in Los Angeles, the Cover Shot Eye Palettes are equal parts diverse and hard-hitting. Each swipe packs a punch of heavy-duty color in a single swipe. Giving beauty aficionados all the elements needed to create unforgettable eye makeup looks, each pocket-sized palette houses six high-pigment colors and two base shades that blend like a charm. I have this and I love its flexibility and pigmentation! Blow a Fuse is a great day time shimmer-highlighter while Crank It Up really cranks the volume up giving you that perfect punch of highlight at night. If you have the need to blind everyone with your highlighting game, Turn It On (being a high shine shade) can definitely do the job! 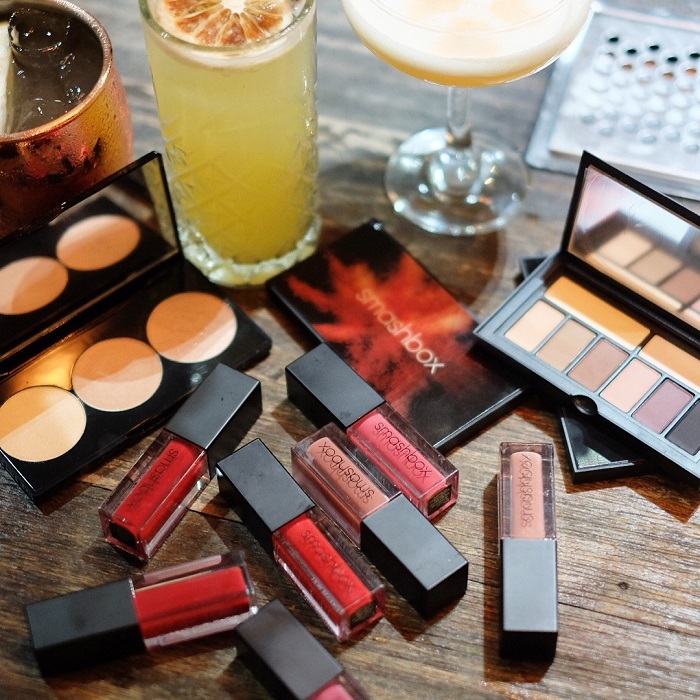 Get your Smashbox fix at Beauty Bar stores located at Alabang Town Center, Central Square, Eastwood, Estancia, Galleria, Glorietta, Greenbelt 5, Lucky Chinatown Mall, Robinsons Magnolia, Midtown, Mall of Asia, Podium, Rockwell, Shangri-la, Trinoma, UP Town, Paseo de Sta Rosa, Marquee, and Ayala Center Cebu.